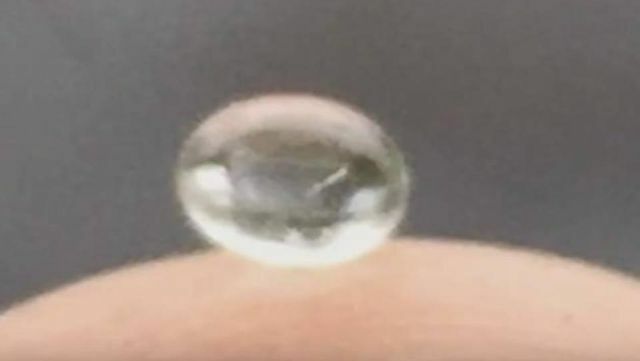 On January 20, 2016 at approximately 1:24 pm in North Atlanta, strange bb size spheres fell from the sky. Witness states: What I thought was sleet turned out to be a clear salty hard unknown matter. I still have them and plan to send them somewhere to be tested for what in the world it is! 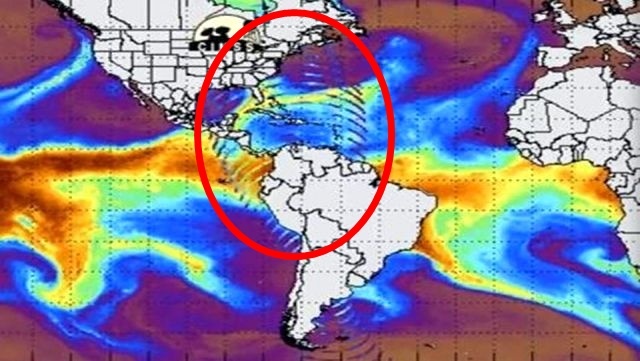 Image left: Massive wave burst extending over North and South America prior to historic storm in US.